Steven Butala: Steve and Jill here. Jill DeWit: I’m Jill DeWit broadcasting from sunny Southern California. Steven Butala: Today Jill and I talk about diversifying your risk with multiple lines of revenue. Jill DeWit: We do that. Steven Butala: I know, yeah. We’ve been doing that for years, so just the thought of it makes me happy. Jill DeWit: … plan? Darn. Steven Butala: That’s all pure luck I’m convinced. Steven Butala: I think you have more control over successfully raising a dog than you do a child. Jill DeWit: That is probably true. That’s very funny. Steven Butala: That so quickly got off of real estate. Steven Butala: Before we get into it, let’s take a question posted by one of our members on the LandInvestors.com online community. It’s free. As you’re listening, please drop your questions in the comment section below. 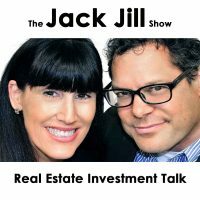 Jill DeWit: Victor asks, “Does anyone have an experience selling land notes? I’m considering selling some land notes or person notes to free up some cash for new deals. Most of my notes are around $8,000 with $150 payments. What is standard to ask from a note buyer? Any advice or past experience would be great. Thanks.” I love, by the way, some of these questions how people are just kind of thinking bigger. It’s not just that online community is not just about land, but all kinds of other business things that you need to know. As a matter of fact, he’s talking about a note. It could be a note for a dentist bill or something. You know what I mean? Jill DeWit: There’s all kinds of notes and a lot of this stuff applies. Steven Butala: Let’s define what a note is essentially. That’s a perfect place to start. If you’re brand new, you may not know, but there’s this whole … If you’re into real estate investment or any type of financial investment, it’s more of a financial investment backed by real estate than anything else, then you know all about this. There’s this crazy world out there and it all is rooted in the association with paper and real estate. There’s all kinds of paper and things that can go right and wrong with the paper part of the real estate. When you look at the piece of real estate, it looks fine. Steven Butala: All kinds of things that can be going on in the backend, ownership problems, clouds on title, people aren’t paying their mortgage, maybe that was a bad market in the place, legal issues. There’s lots of paper in the real estate. What this person has very intelligently done is bought a piece of real estate hopefully for very little, sold it to somebody on terms and they’re making payments. They created a note. Let’s just call it a mortgage note. This person is using the property somehow making monthly payments. After about six months or so, you have a financial instrument that you can do stuff with. Steven Butala: You have an income stream in the future that can be brought back to present value and valued. Here’s a great side note. We all know David Bowie, right? Steven Butala: He was the first one to … He cut the record in the ’80s that he was famous for hating. Jill DeWit: Oh, yeah, yeah. Let’s Dance on there. He didn’t like doing that album. Yeah. That was money making only. Steven Butala: Right. All his money now is coming in back in for royalties. Theoretically now you’re supposed to get royalties anyway. It’s different with the internet. Steven Butala: He issued a bond against the future income stream of these songs. Jill DeWit: Of that album? Yeah. Steven Butala: Made like $20 or $30 million. That’s a huge number. Jill DeWit: I didn’t know that. Steven Butala: Unheard of at the time. Steven Butala: This is the exact kind of situation where you have a lot of options. What this person is asking is what are typical terms? What usually happens is if you have tons and tons of money expected to come in, let’s just say $100,000, it gets discounted. All notes get discounted to hedge off risk, which is really kind of what this show is about is diversifying risk. If you got $100,000 of future value, you have to bring it back to present value. Let’s just say it’s 50,000 or 20,000, I know these numbers are not real, and then take a discount from there. Look at it from the seller’s perspective. He’s got a property that maybe he purchased for, I don’t know, four, five, 8,000 bucks. Steven Butala: He sold it for 20 or 30 on terms. He’s going to get way more than he paid. He’s going to turn over those payments to the person who buys the note. Jill DeWit: Well, that’s great, Steve. Steven Butala: How bad was that? Jill DeWit: That was pretty bad. Jill DeWit: That was really great. That was notes. Jill DeWit: Congratulations. You just attended notes 101 by Steven Butala and finance 101. Now account for finance 200 and notes 101 all combined together. Steven Butala: What he’s asking is what’s the discount rate? Jill DeWit: Let me even simplify it. Here is what I think he’s asking. I sold a property on terms. It’s $8,000, $150 a month. I want some cash out of this. What can I do? I just figured out the whole note thing by the way. I didn’t even know to call it a note, by the way. I don’t know if he even used that. Well, he did use the term note, but he just learned this whole process of seller financing. Now he’s asking what’s the next step? What can I do? For new people please, what would you suggest? Like A, don’t do it, B, yes, you can do it, but you have to do it this way, or C, if there’s a C.
Steven Butala: Well, there’s three ways that these type of financial instruments get reviewed. Number one, the credit of the person who’s making the payments, the actual credit score. Number two, the asset type. In this case, it’s probably rural vacant land. Steven Butala: Number three, the history of how many payments they’ve made. Nobody usually talks about notes at all for the first six months. Jill DeWit: Until you have a history. Steven Butala: Until you have a history. Jill DeWit: … kind of thing? Okay. Jill DeWit: Okay. Because we’re both new. By the way, I’m not going through a big thing. I’m not going through Schwab or any big finance company. I’m just doing it you and me. Say I have this note. I don’t mean to be picking on you. I apologize. Jill DeWit: Well, I’m not trying not to pick on you, but I’m trying to explain to everyone. The first part, the scholars got the first part. I’m talking to everyone else. Jill DeWit: I’m talking to me. Steven Butala: I’ll stay at the 35,000 foot level. Jill DeWit: Talk to me. Steven Butala: I don’t know how I could do that without explaining what I just did, but I’ll answer your question. Jill DeWit: I have to put it on paper. How about this, so if I want to sell you a note to free up some cash, I need to come to you and say, “Hey, Steve. Here’s the deal. I’ve got this note. This guy has paid six months of payments. You don’t know how much they pay over the property or maybe you do. I don’t know. I’m already paid out. So look, I’m going to give it to you for $4,000 because I’m good. I already got paid out now. With the $4,000, you can keep going because you’re going to get $8,000 in the end because they pay $150 a month. There’s interest. It’s got six more years of payments, whatever it is.” Then everybody’s happy? Steven Butala: Just actually to end this conversation, I’m just going to say yes because it’s way more complicated than that. Jill DeWit: Okay. Okay then. So what’s the right way to do it? Steven Butala: It depends on the person who’s buying the note and if they’re comfortable buying land. That’s the real issue here. If it’s a house, people are going to fall over themselves to get into that asset. If it’s a rural vacant land, you’re going to be hard-pressed to find somebody to buy a note that’s backed by a rural vacant land for the same reason it’s very difficult to find a lender in a traditional sense to lend against rural vacant land. Jill DeWit: All right. That answers this person’s question. Steven Butala: … you can bank on a 50% reduction in the face value of the note. If you got 8,000 value of … But it would be impossible for me to say that without the intro there. Jill DeWit: I love that though. Now I got the answers. Thank you. Steven Butala: Today’s topic, diversify risk with multiple lines of revenue. This is the meat of the show. You have a clear idea about how you want this to go, so go ahead. Steven Butala: What do you diversifying risk means? What does it mean to you? Jill DeWit: Having not all your eggs in one basket. What? Steven Butala: Now we’re down to the kindergarten level. Do you want to define what an egg is and actually why that saying matters? Because eggs are breakable. Jill DeWit: Go ahead. Thank you. Steven Butala: No. No, I don’t. I’m asking you a question. Jill DeWit: No. No. No. Thank you. You go. Steven Butala: No, go ahead, Jill. I think that you need to explain this to kindergarteners, so go ahead. Jill DeWit: No, I don’t. Please. Please, Steven. Steven Butala: Because people at the PhD level know about risk diversification, so I don’t need to actually explain it to them. Jill DeWit: Well, what do you want to talk about? Steven Butala: I don’t have anything else to talk about. The way that I wanted to present this and the way that it’s going to ultimately be presented is just like the intro. Steven Butala: No. No. I want to hear the kindergarten level of eggs in the basket or is that it? Jill DeWit: That’s it. I’m good. Steven Butala: Just a soundbite? Steven Butala: Don’t put all your eggs in one basket soundbite. Steven Butala: Here’s what Jill and I do very successfully to diversify risk. I’ll tell you, one of the biggest questions we get at our live events is this, if you guys could go back and change anything or change something, what would you do, or what’s the biggest mistake you made? It’s always the same answer for me. Around 2000, I don’t know, ’08 or ’09 or ’10, somewhere around there, the economy really caught up with us from a financial standpoint. This is slightly before I met Jill. We had one line of business. We were purchasing rural vacant land, very inexpensive rural vacant land, and reselling it on the internet, mostly on eBay. Almost exclusively on eBay. We had no risk diversification at all. Steven Butala: We had a single product type, a single channel of sales. We paid for it. My answer to that, and it took a couple of years to rebound, seriously get us back on track, was to create different lines of revenue. Not only that, but create different lines of sales channels for those multiple types of real estate. For us, it was rural vacant land, then we moved into infra lots, and then we’re now heavily into wholesaling houses. Those are our three main product types. Then outside of that, we have, excuse me, these companies that we have like Offers 2 Owners and Land Academy itself that are slightly profitable. We’ve really diversified our risk with multiple lines of revenue. Steven Butala: How does that apply to let’s say a new person or somebody who’s at the intermediate level at the very least because it’s the same process and it’s so easy to add a product line. We’ve done this on purpose, by the way. If you’re selling rural vacant land already, it’s so easy to go infra lots. 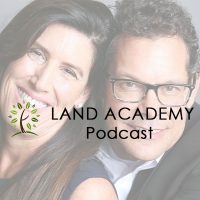 We just released Land Academy 2.0, which is all about buying and selling infra lots and using the exact same methodology that you’re already using. It’s just a new product type. Then I think in January, we’re slated to release House Academy, so you can successfully add that because I don’t want this to happen to … I don’t want what happened to us to happen to our members. Steven Butala: If you got three good solid product types and you’re not really adding any staff or any real fixed cost to achieve this, that’s what we’re going for. That’s what this really is all about. It’s like Walmart introducing a new line of toasters or placing the toasters in a more sales driven spot in their store. They’re always changing out new stuff and that’s what you want to do. Jill DeWit: How would you feel about say it’s a newer member or just someone who’s only done land, maybe they’re not necessarily new, someone who’s been doing land for two years, right, and all they’re doing is the same property type over and over and over again, but they perfected things like pulling reports and doing due diligence. They have perfected posting property for sale. What if they created a service like that and sold it to other people? Steven Butala: Jill, that’s brilliant. Steven Butala: That’s brilliant. Like let’s say you love the paperwork part of … There’s a dramatic lack of good trends action coordinators on this planet for what we do, so yeah. if you love the escrow titles part of this, I think that’s brilliant. Steven Butala: I don’t know, but I bet if I looked out there if there’s some kind of show about it, like we have a show about this stuff, I bet there’s not. Steven Butala: So would I.
Jill DeWit: … I’m sure it would be a disaster. It would make me feel really good. Steven Butala: … with the person who answered the door naked, you know, or whatever. You could do a whole show on installing water heaters. It’s just it’s not about water heaters. Jill DeWit: Exactly. That’s great. Steven Butala: You can make a show about anything. Jill DeWit: You sure can. Steven Butala: You’ve done it again. 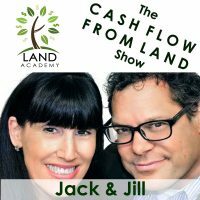 You spent another 15 minutes or so listening or watching the Land Academy Show, and you caught a little bit of an argument between Jill and I. Join us next time where we discuss beginner and intermediate groups of Land Academy, which was what our argument was about. Jill DeWit: And answer your questions. Post it on our online community at landinvestors.com. It’s free. Steven Butala: You are not alone in your real estate ambition. You know I love you. Jill DeWit: Thank you and I love you too. Steven Butala: I was trying to think back if we had a spat on a show before. Jill DeWit: I’m not sure everybody knew it was a spat until you kind of spelled it out. It was good though. Steven Butala: It was a spat. Steven Butala: No, it’s not for you. I’m spelling it out for them. Jill DeWit: No, I was just saying, if you’re only listening, you should probably go watch the YouTube video because you could see steam coming out of Steven’s ears. Literally there was steam. It’s worth watching this one. Steven Butala: Jill just loves pushing my buttons. Jill DeWit: Please be sure to hit the subscribe button to stay up to date on our podcast. Like us and comment on what you would like to see, hopefully not arguments, in future shows. If you’re listening on iTunes, please rate us there. We are Steve and Jill. Steven Butala: To buy undervalued property.